2. Air Jordan III "Fire Red"
Complex says: Playoffs? 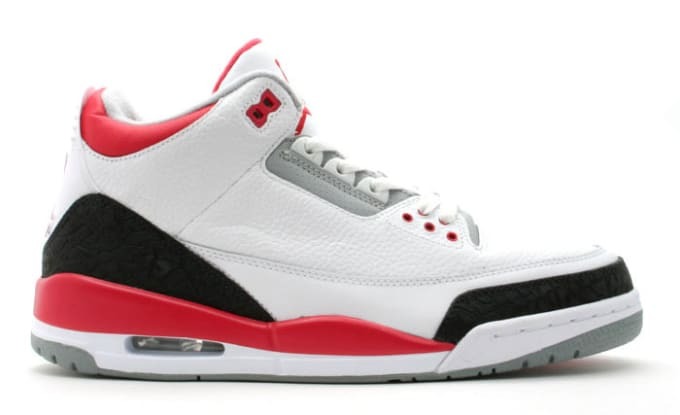 The "Fire Red" IIIs turned the "White/Cement" home version up to 11 with more red, darker elephant print, and a lighter grey around the lace loops. If any version of the Air Jordan III could use another retro, it's these. It doesn't get much better aesthetically.